At JCPenney, we know it's essential to get a good night's sleep. Otherwise, you'll walk around feeling groggy and out of sorts the next day. 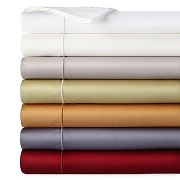 JCPenney offers a vast array of bedding basics to help provide the rest you need to perform your very best. As you peruse our bedding section, you'll discover comforters, pillows, sheets, and more so you can choose what works best for you. All of the bedding at JCPenney is designed to bring you the best night's sleep possible for a price you can afford. Shopping for bedding when you need all the pieces can be quite daunting. 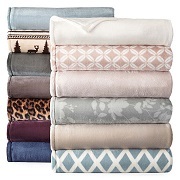 In order to help you find all the items you need without being overwhelmed, JCPenney bedding comes in a variety of ways, including bedding sets that have been curated to ensure that everything in the collection goes together. You can find bed-in-a-bag sets that come with everything you want for the bed. 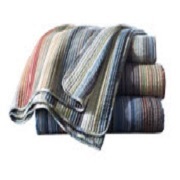 We also offer sheet sets and comforter sets if that's all you need. You may be starting from scratch to decorate your bedroom, or you might only need specific bedding items to add to what you already have. JCPenney offers individual pieces, such as pillowcases, mattress pads, blankets, and more so you can decorate to your heart's content. You'll also discover some accent pillows that can take the look of the bedroom from ho-hum to fabulous. For those who have specific requirements for sleep comfort, we have a nice selection of items that will help. Are you looking for electric blankets, heated mattress pads, memory foam toppers, or flannel sheets? We have those, as well as a variety of other bedding pieces to make your life even better. We also have a wide selection of pillows. 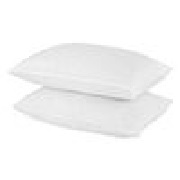 Whether you are a side sleeper, back sleeper, or stomach sleeper, we have pillows designed specifically for your needs. You'll find pillows filled with down, feathers, memory foam, and other materials, so you can select what is most comfortable for you. JCPenney offers a wide range of bedding basics for all sizes of beds, including twin beds, full-size beds, queen-size beds, king-size beds, and California king beds. Do you have thick mattresses or mattress pads? Choose fitted sheets with deep pockets. We even offer toddler and baby bed essentials, so you can do all your shopping in one location. We know that everyone has their own unique styles and tastes, and we want to make sure you have what makes you happy. If you love bold colors and contemporary styling, we have a nice selection to choose from. JCPenney offers bedding in a vast array of colors and textures, so you're certain to find something you love. We also have traditional, elegant, whimsical, and other styles of bedding, so there is something for everyone in the family. You can transform your bedroom into the perfect place to rest, relax, rejuvenate, and sleep with the right bedding that makes you happy. All of the bedding basics from JCPenney give you the quality you deserve for a price you can afford.